Home » News » The art of a natural lips using fillers! 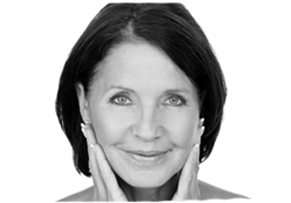 Here we explain how you can achieve natural lips using fillers and a mathematical equation. The ‘Golden Ration’ or PHI has been around for many years, many believing it was used as far back as 2,400 years ago when the ancient Greeks discovered that when a line is divided into two parts in a ratio of 1: 1.618, it is thought to create an appealing proportion. 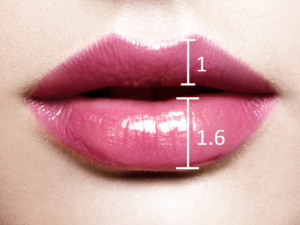 This mathematical equation is our golden rule in achieving natural lips using fillers in our lip augmentation treatments. In the late 13th century it is believed Leonardo De Vinci followed the rule when creating some of his famous works of art including the famous Mona Lisa. Years after the rule was created, it has been applied to facial beauty and adopted as a guideline for aesthetic treatments, including lip fillers. The top lip is smaller than the bottom lip as you can see in the diagram below. If you would like a Free consultation with either of our doctors please call on 02392382000 to book in or use our simple contact form.